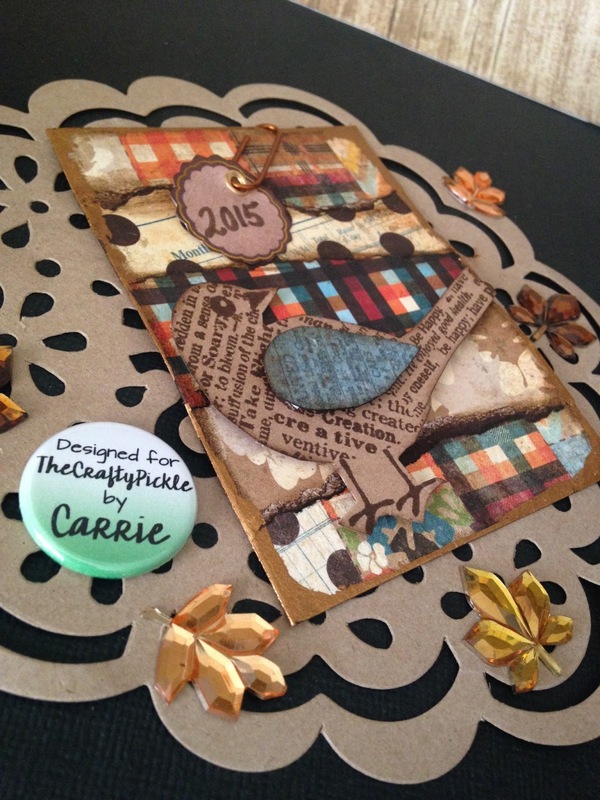 Hi, Carrie here to share with you my latest scrapbook layout. This is my favorite time of the year. I love to see the leaves turning into beautiful fall colors. Where I live in Southern California there is not a lot of fall color. But only 90 minutes away in Bear Bear Mountain the colors change and it really feels like fall. The weather is cooler and it’s a great place to visit with family and friends. 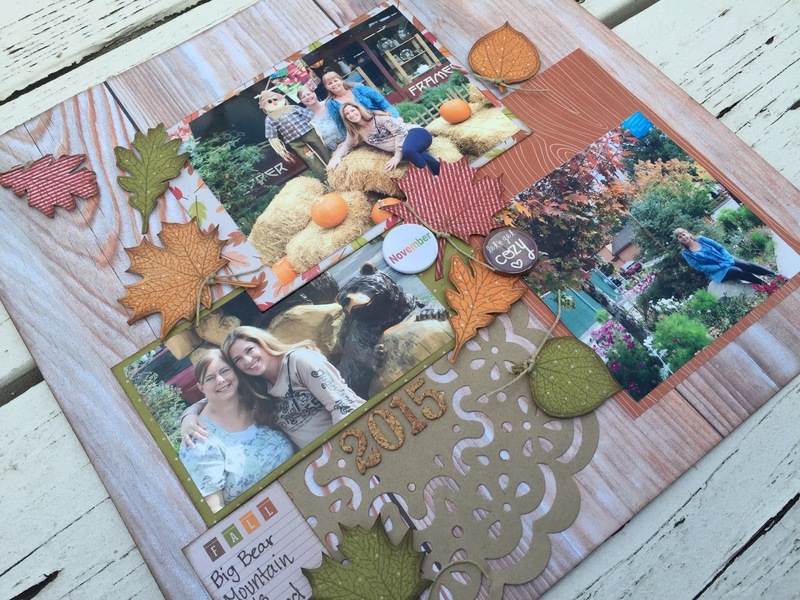 This month I spent a girls scrapbook weekend in Big Bear. 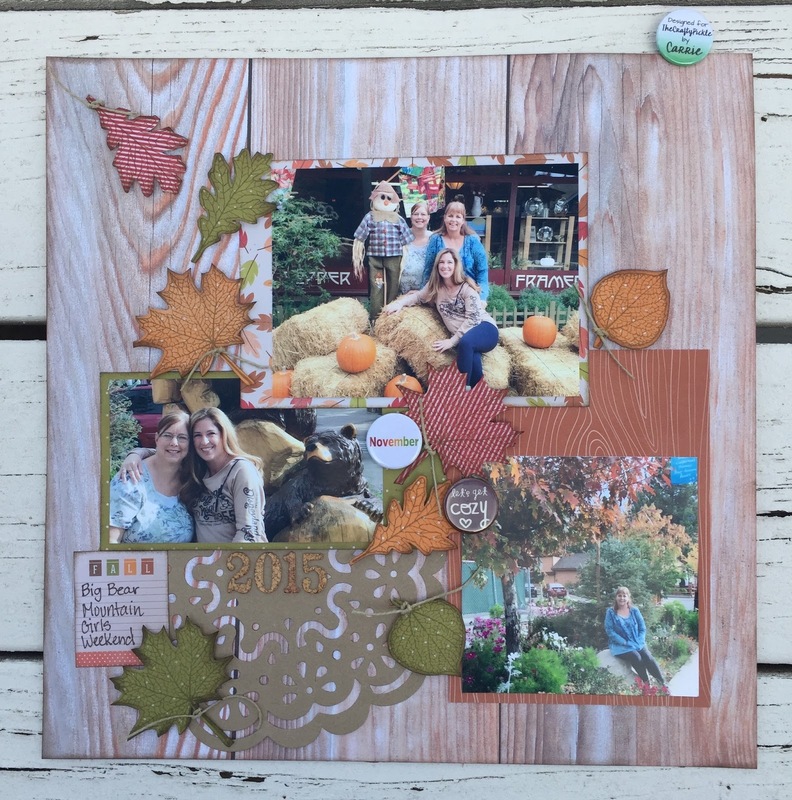 I was super excited to create a Scrapbook Layout to document all the beauty of Fall and the time spent with great friends. 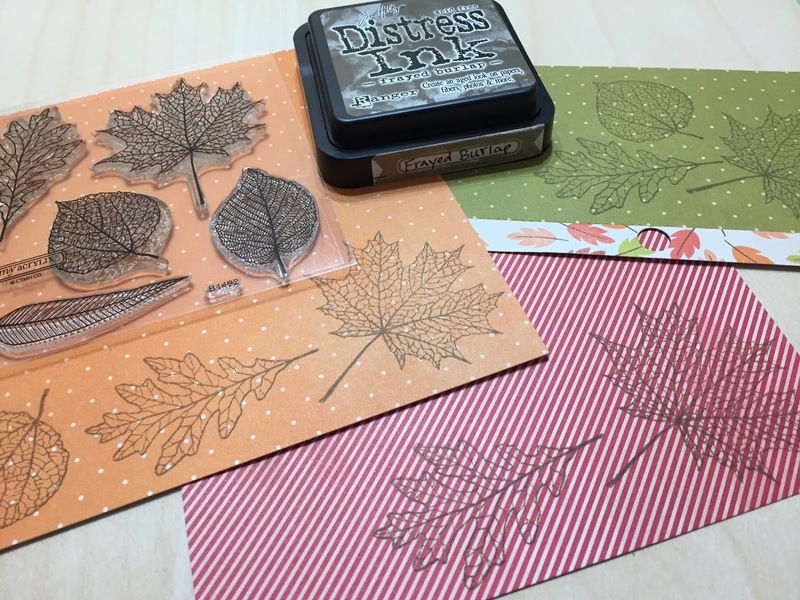 My favorite CTMH stamp set is “Fallen Leaves” This is the perfect set for stamping onto patterned paper and fussy cutting out the leaves. I also inked all the edges with Distress Ink. 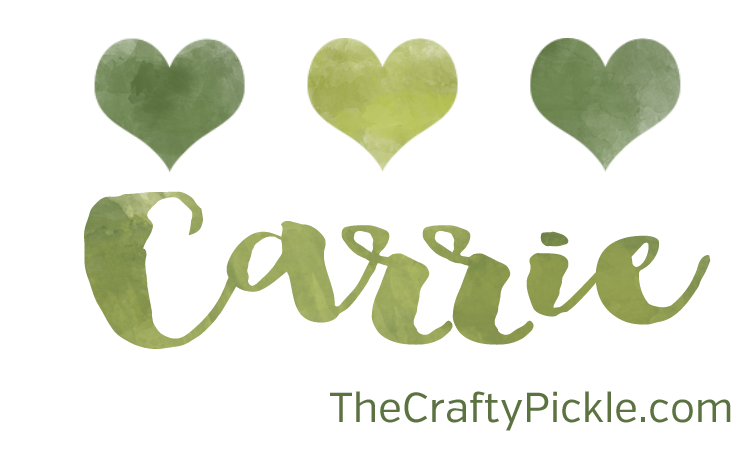 I added a couple of TCP flairs to embellish my project. 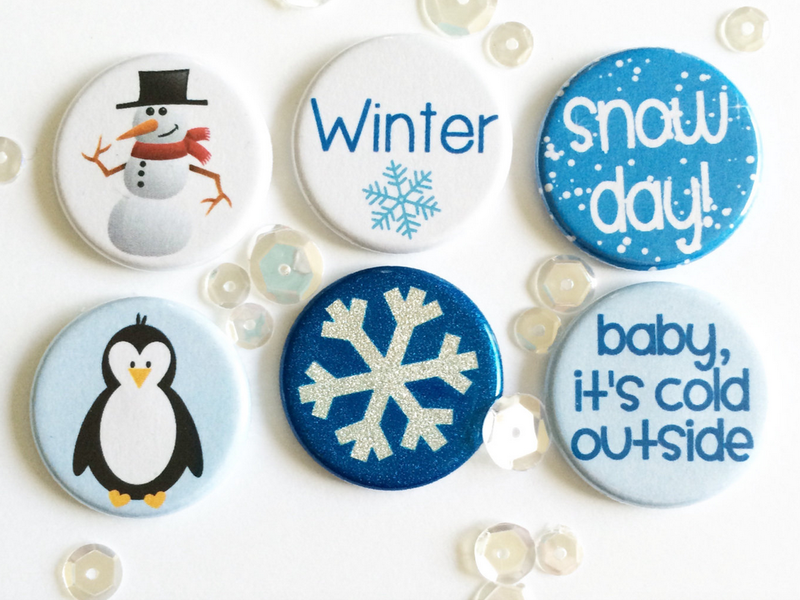 These cute little buttons are the perfect touch! The leaves are falling, it’s time to be Thankful for family and friends. 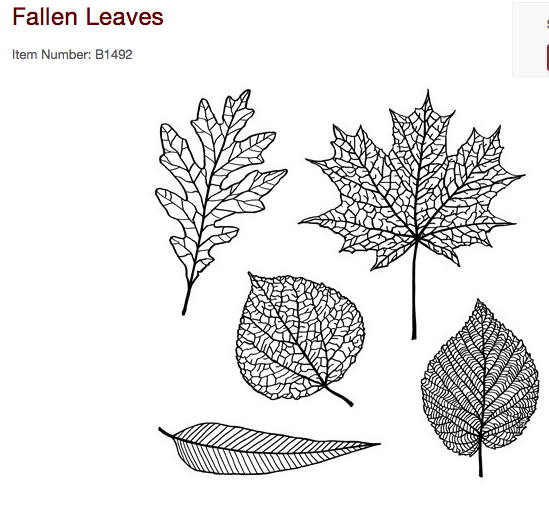 Get out there and document your fall fun adventures. 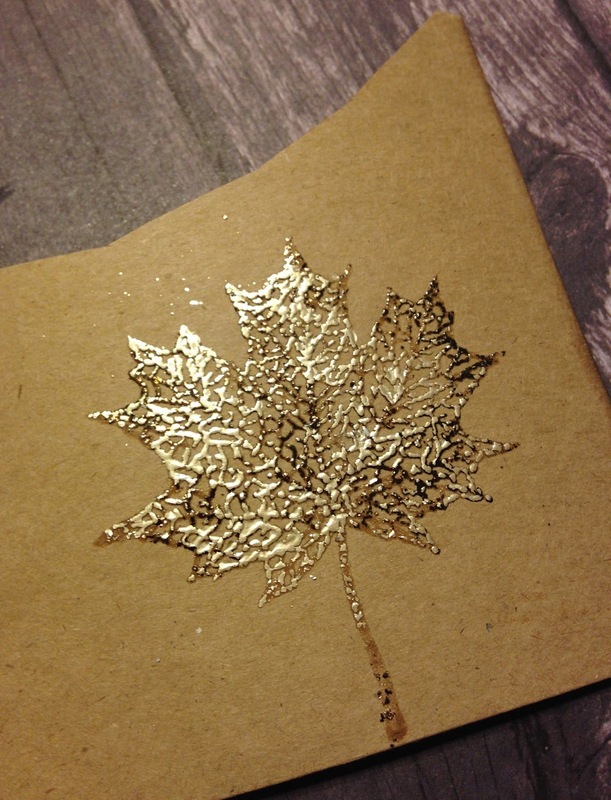 It’s never too early to start making those handmade Christmas projects. 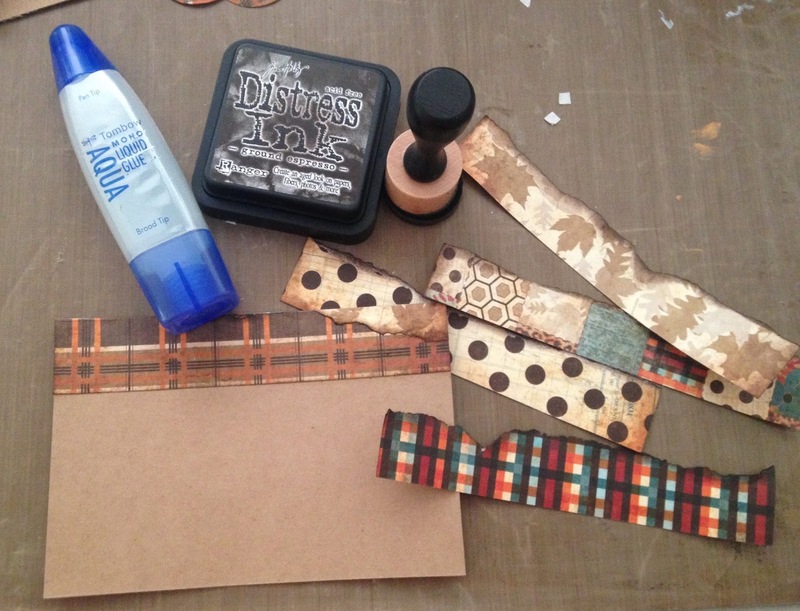 For me once Halloween is over I become focused on Christmas gift buying and crafting. 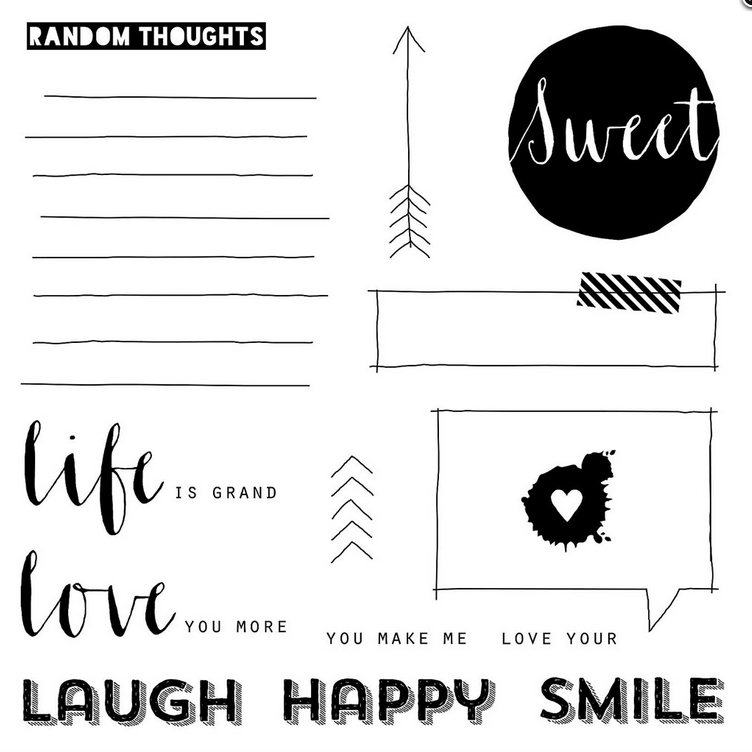 I like to have gift cards on hand to give as thank yous and small gifts for teachers and friends. 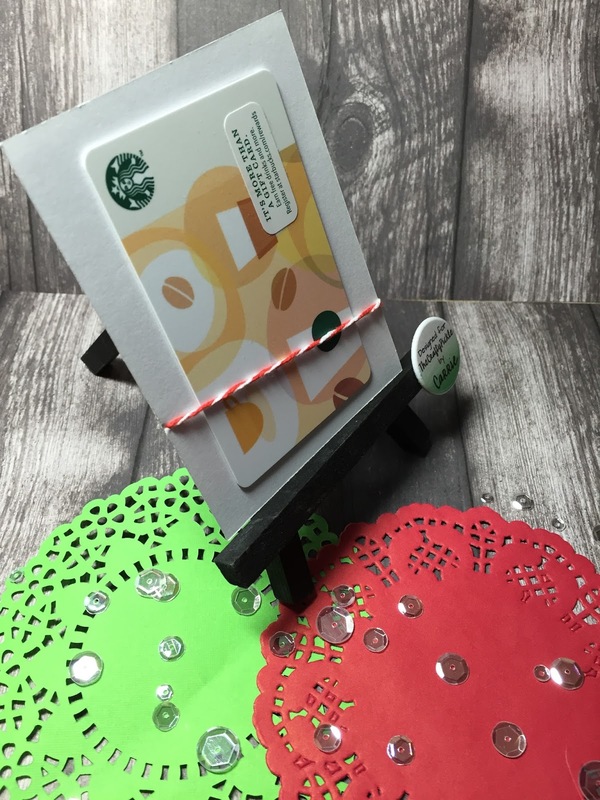 So in preparation for this I will create cute gift card holders. Then when a gift is needed I am ready to slip in the gift card. 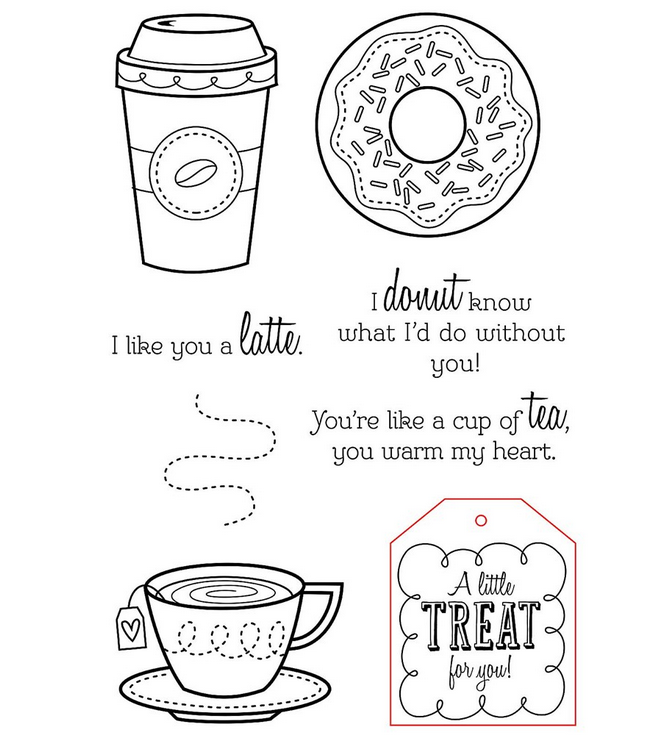 Starbucks is an easy one, a lot of my friends love to splurge on a Venti coffee any chance they can. 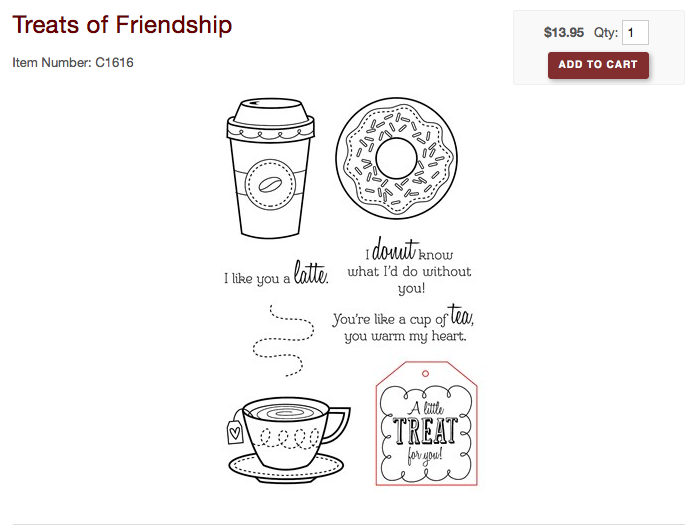 The coffee cup from the “Treats of Friendship” stamp set by CTMH is perfect for this project . 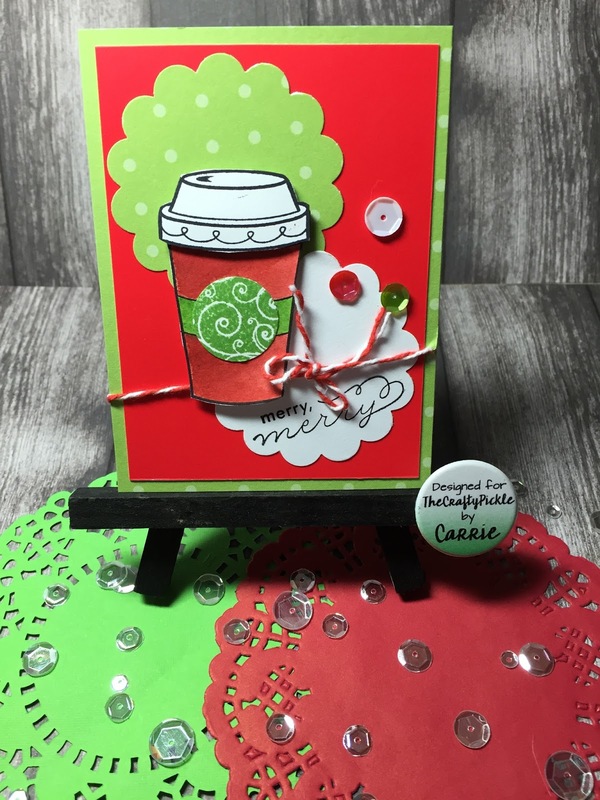 To create my Red cup I stamped the coffee cup several time on white cardstock. 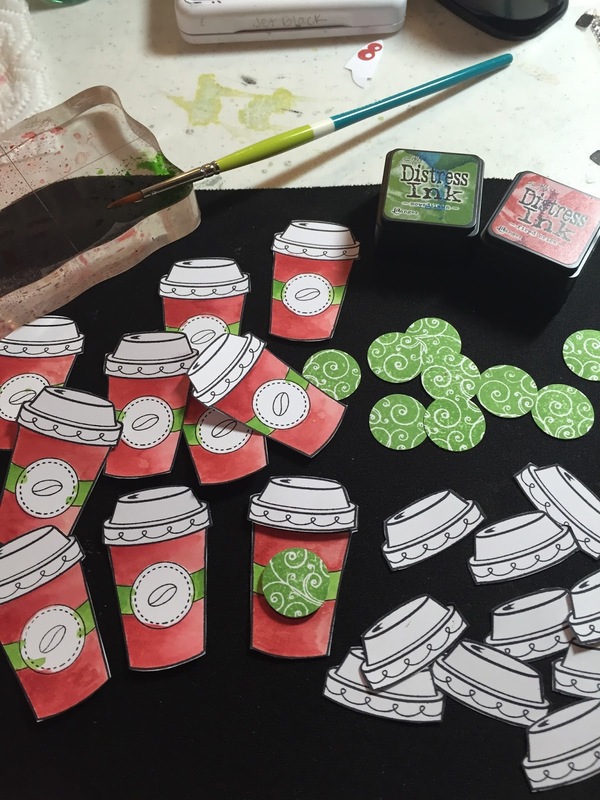 Using my distress ink, I watercolor painted my cups red with a green band. 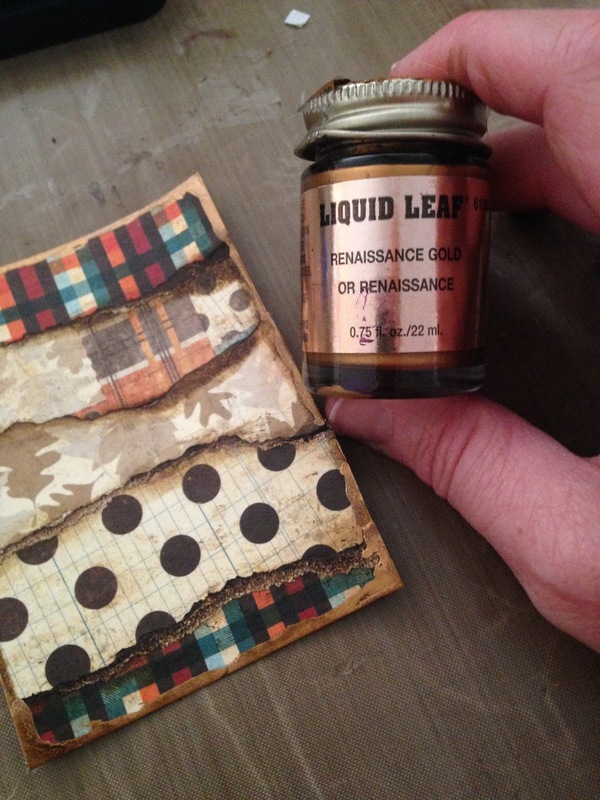 Then I punched a 1/2″ circle from green pattern paper and used that for my label. Then I fussy cut the lid and attached it to my cup for dimension. 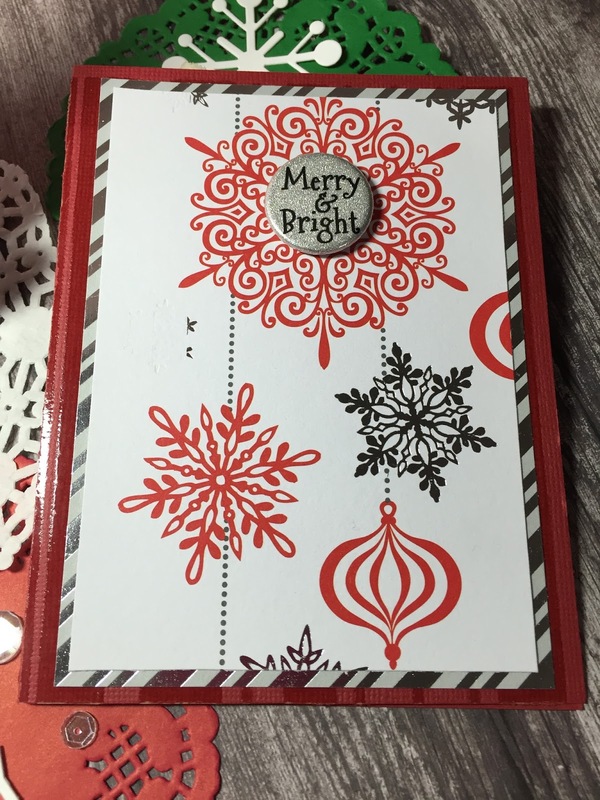 I stamped the merry, Merry ( also a CTMH stamp ) for my sentiment. 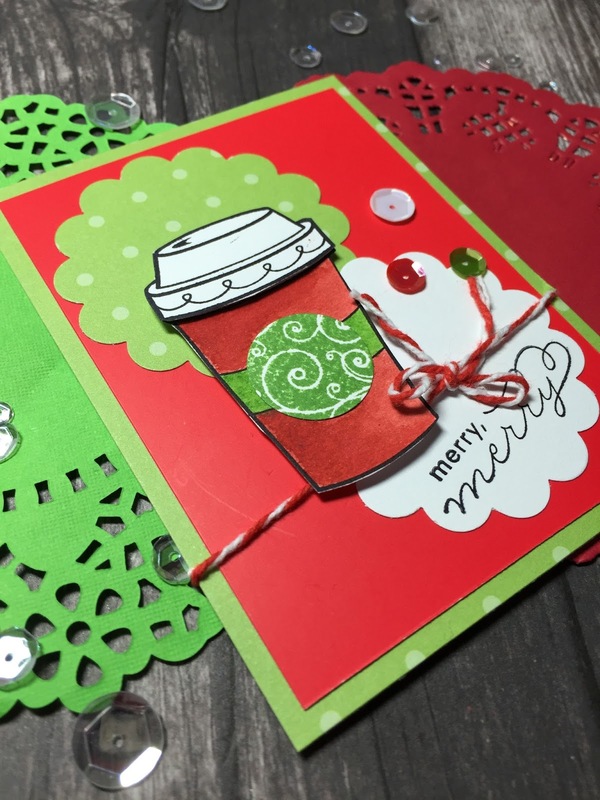 Adding the red and white twine to finish off my card. I attached the Starbucks gift card to the back with some double sided tape. Perfect for a grab and go gift when needed. 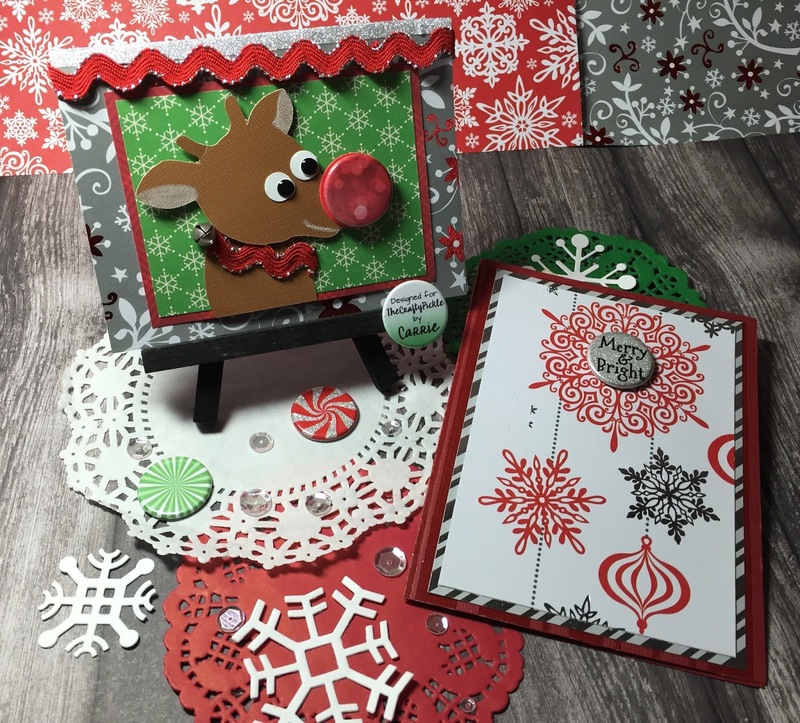 Handmade Greeting cards are fun to create and to give to friends and family. 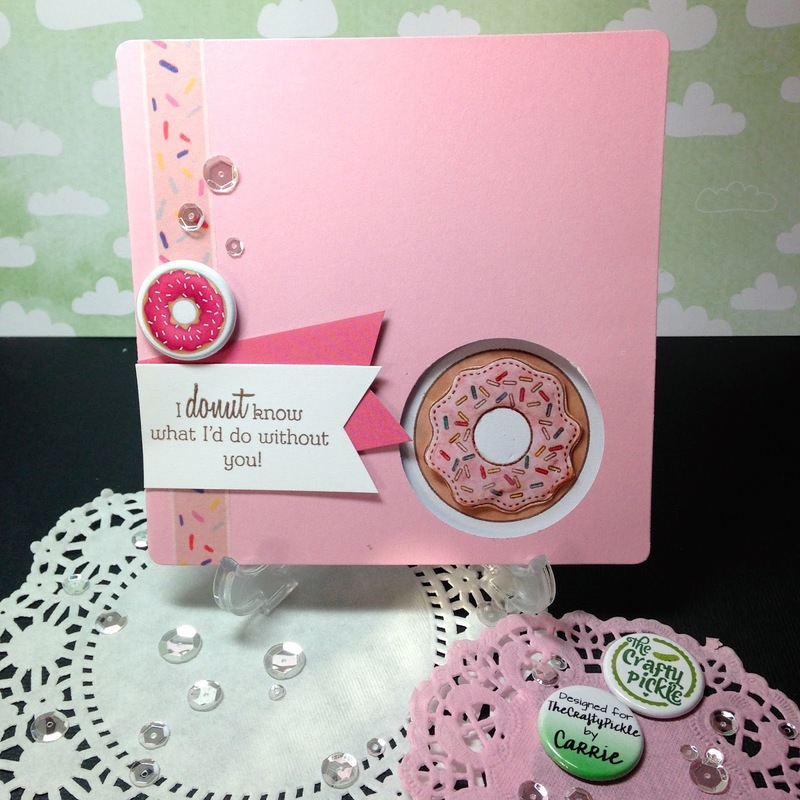 Close to My Heart has a ton of great stamps for creating cards. I just purchased this “Documenting Moments” set. 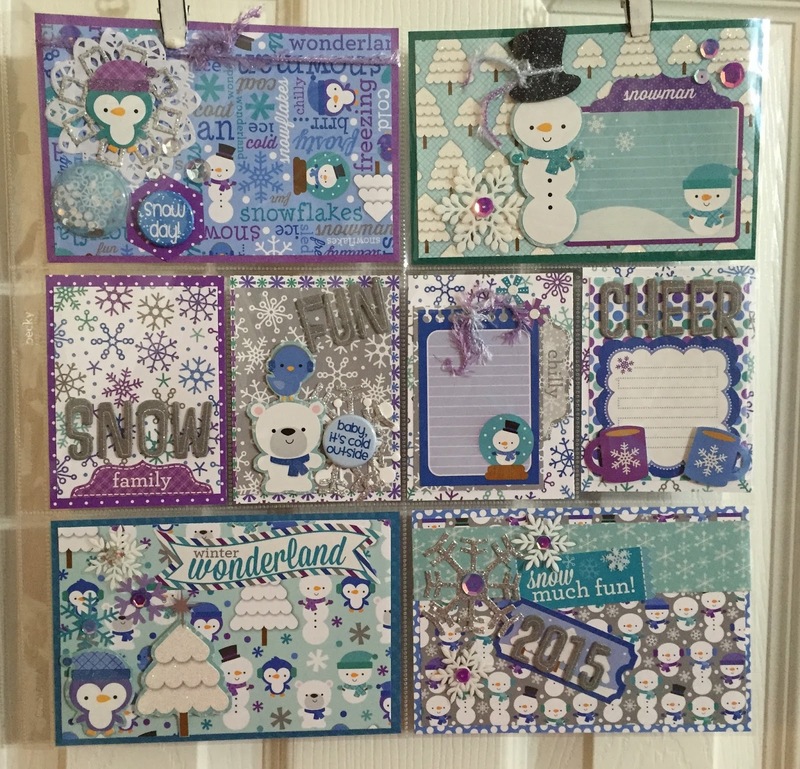 I wanted to use this set for journaling but I also thought this set would make a cute greeting card to send to my daughter in college. 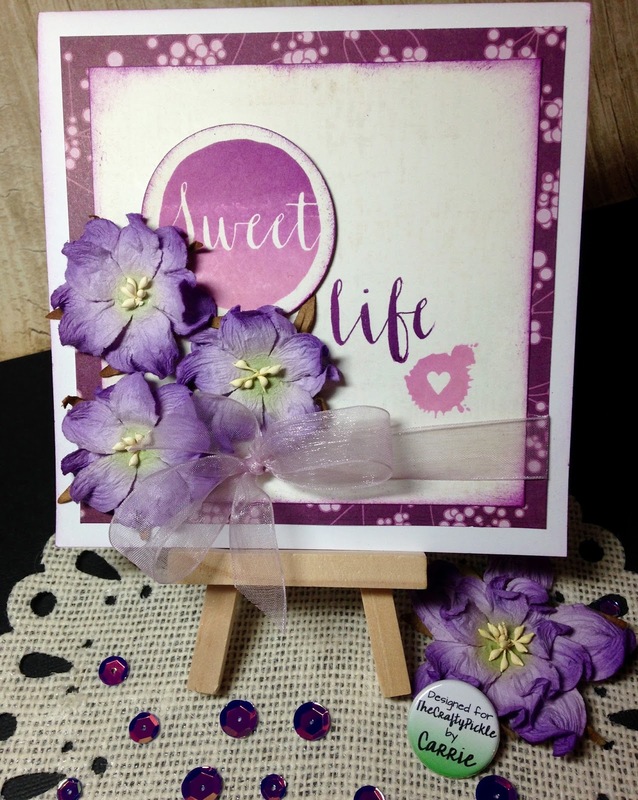 I used Hero Arts Ombre Ink in Lilac to Grape to stamp my image. 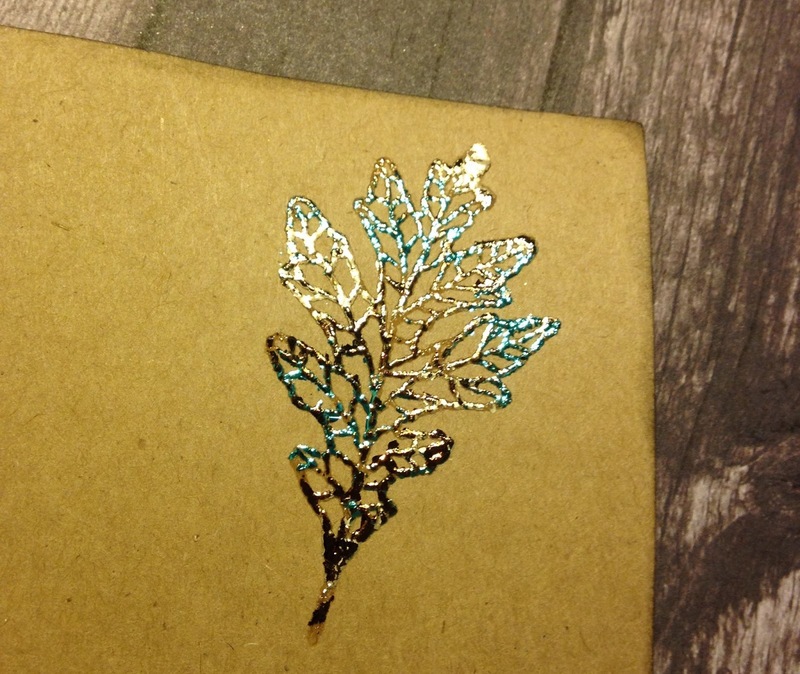 The perfect ink choice for this card, my daughters favorite color is purple. 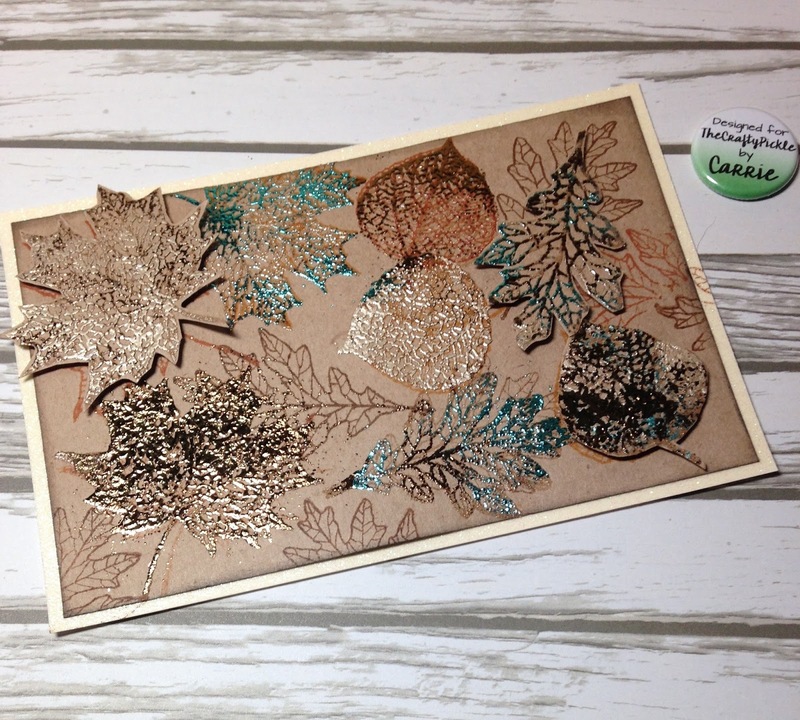 If your an avid card maker like me you should pick up some of the beautiful CTMH stamps available now. Happy Hump Day! 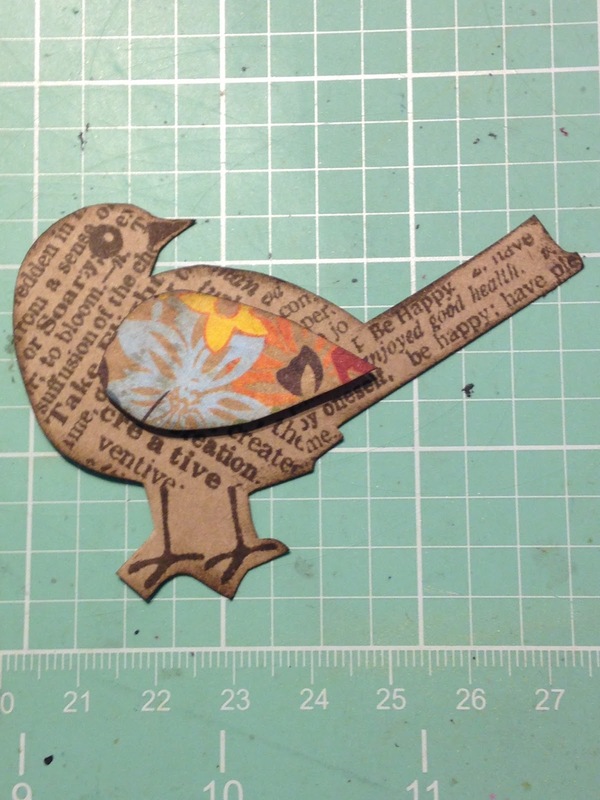 Here is a little crafty inspiration to get you through the week. 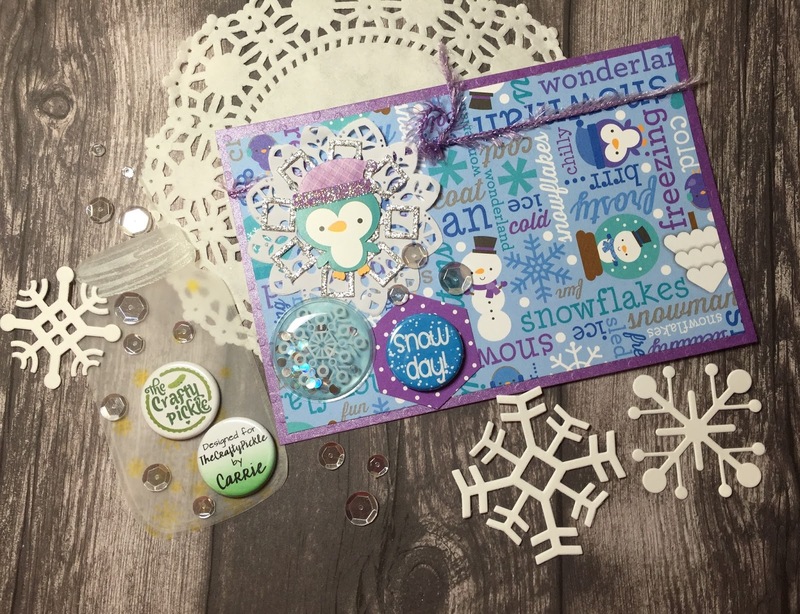 I am part of a group on facebook that creates and swaps handmade Project life style cards and embellishments. You can find us here – Projectlifecardswaps.com Our own Taniesa is one of the hostess in our group. 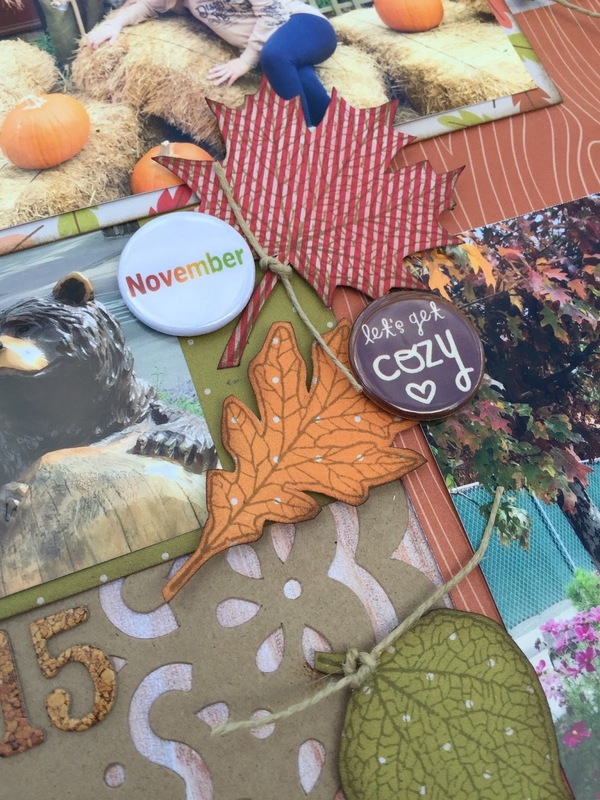 She hosts a new swap every month called JAF – Just Add Flair. 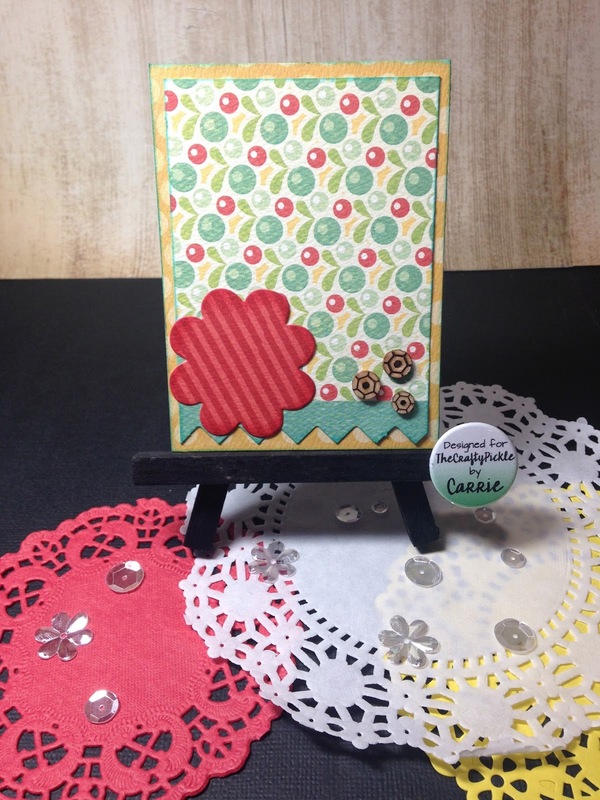 For this swap we are to create a 3×4 or 4×6 PL card with a spot for the receiver to add a flair button. 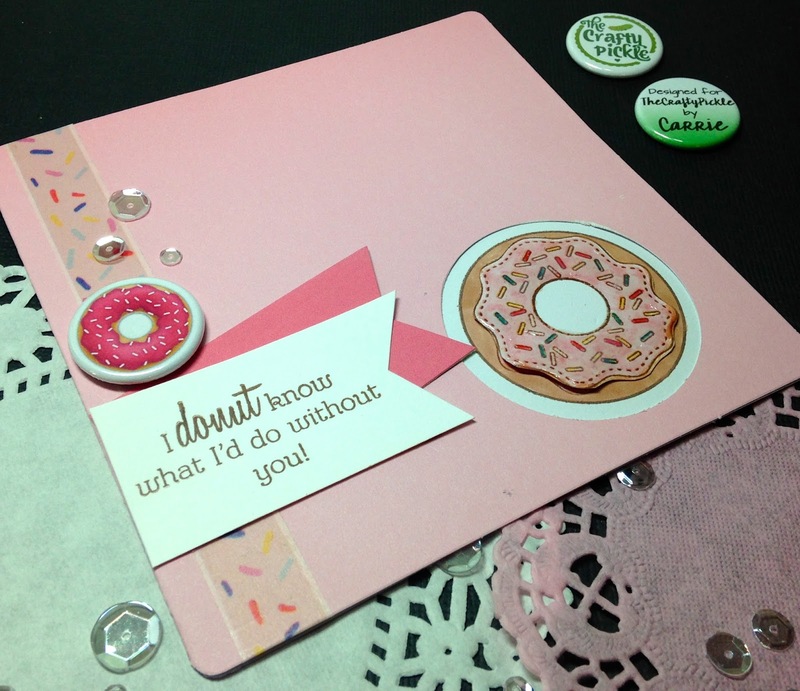 Here is the card I created for this round of swaps. 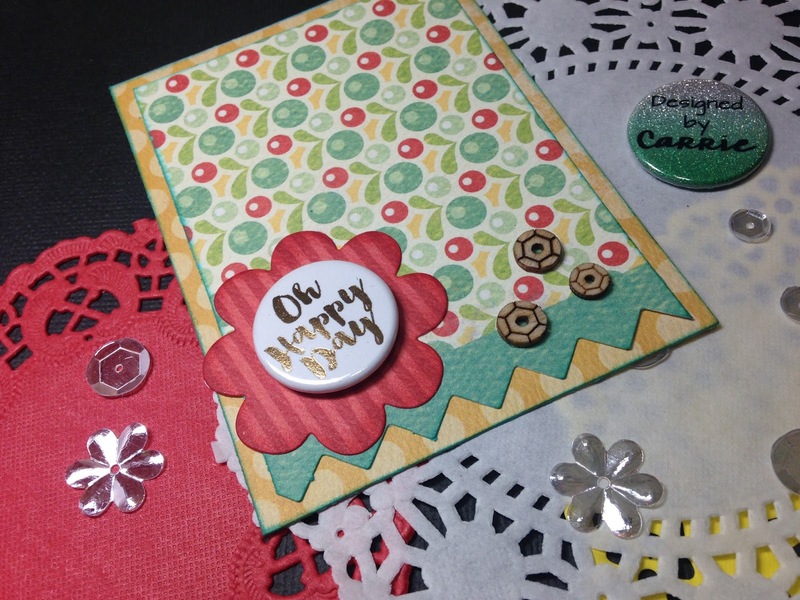 The red flower is where the receiver can add their own flair button or embellishment to personalize their card. 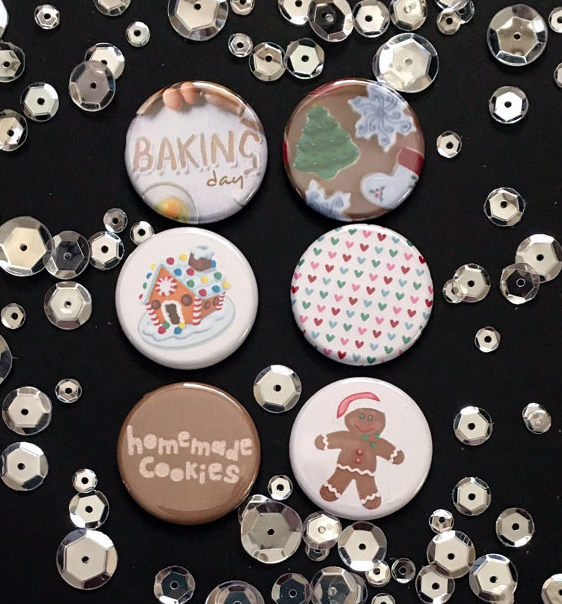 This is a special flair button that Taniesa sent me as a sample of the beautiful gold foil flairs that will soon be released in several amazing designs in TheCraftyPickle shop around August 14th. You can say you saw it here first. 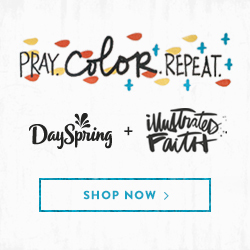 A special Sneak Peek just for you! These are really beautiful in person. So be sure to check back and see the entire New release on August 14th. 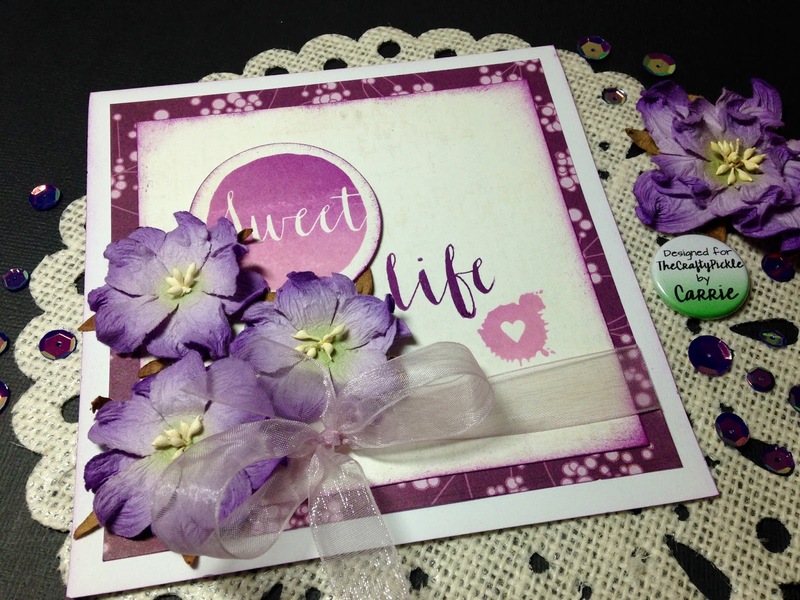 I love to layer pretty papers when creating my own project life style cards, I think the layers just make the cards really interesting and not so flat. I also ink all the edges to make the colors pop. 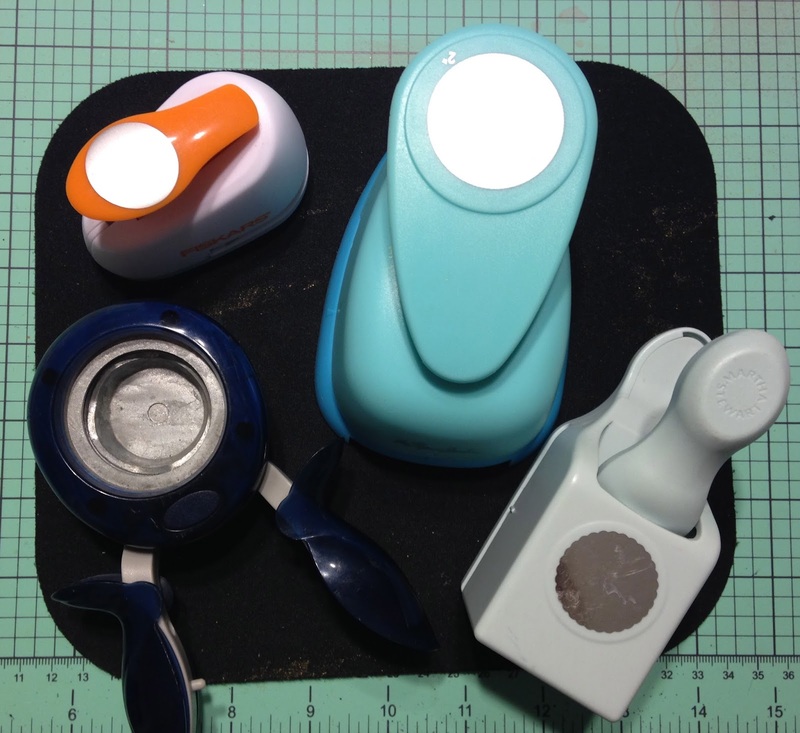 One of my favorite ways to do this is with a Circle punch, or several, in a variety of sizes. 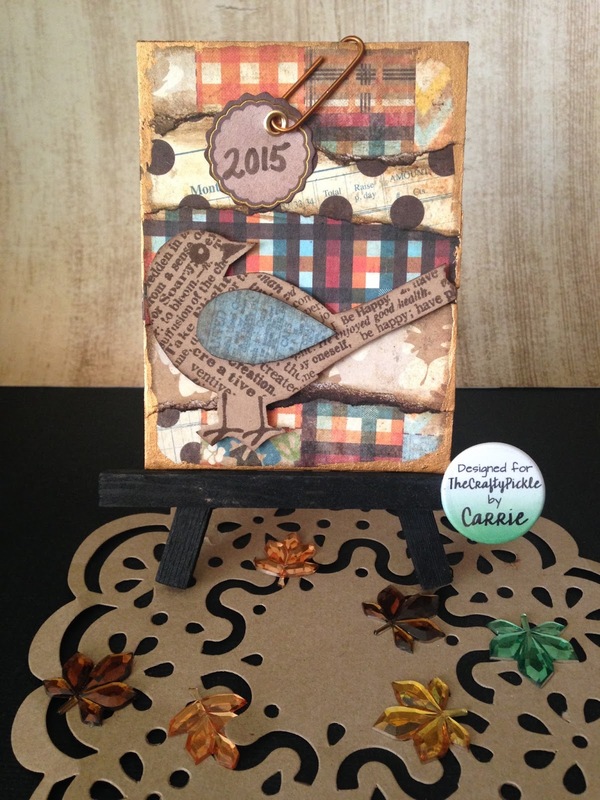 To start I chose to use a pad of 6×6 pattern paper from My Minds Eye Indie Chic collection. 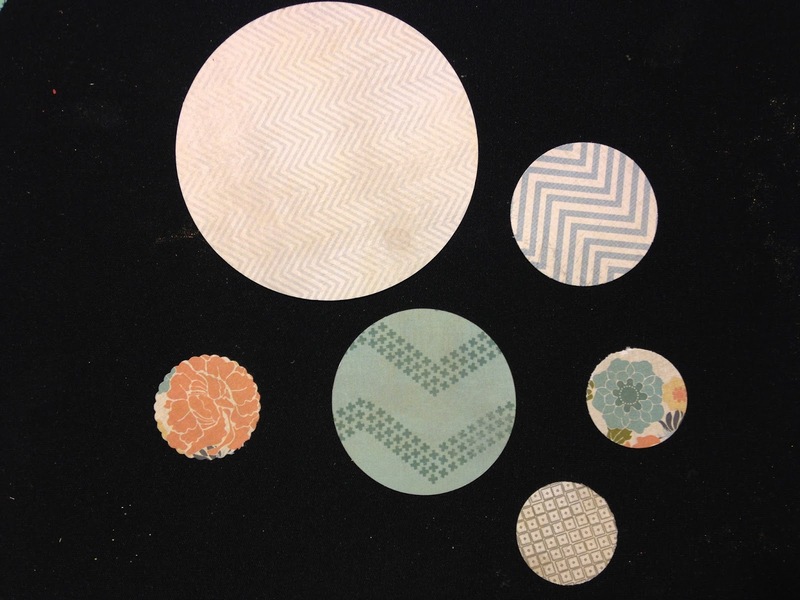 I punched out several circles in different patterns and sizes. 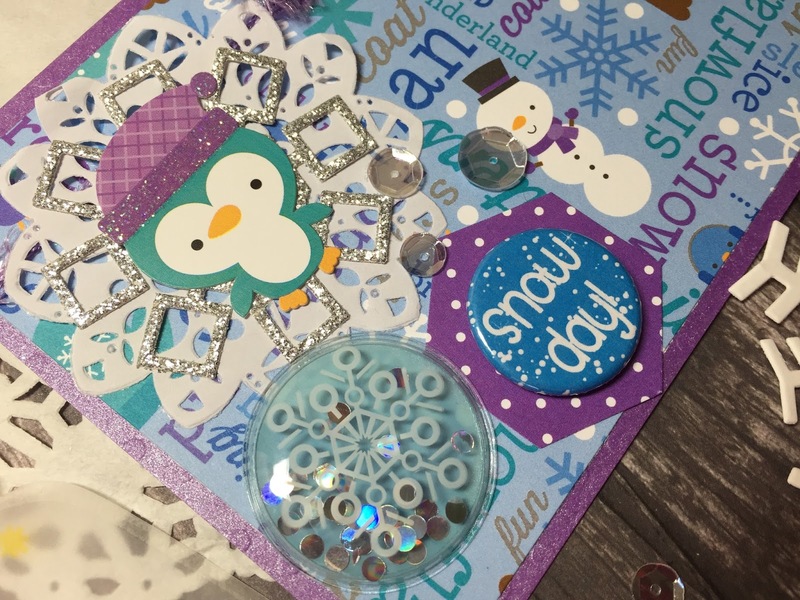 I also used some layered stickers from the same collection to embellish my cards. 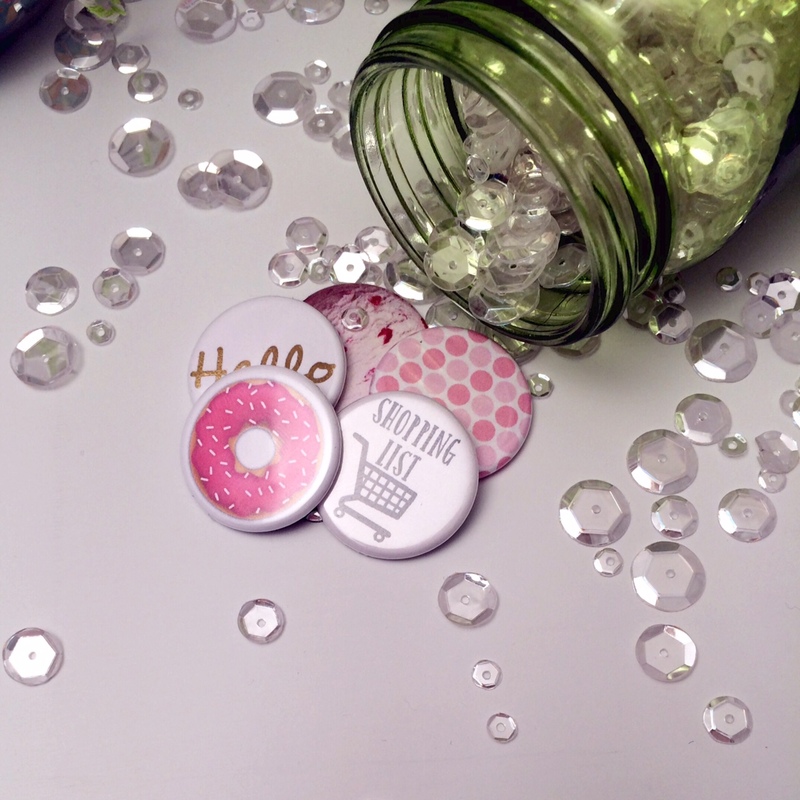 The circle “theme” is also perfect for embellishing with Flair buttons for added interest and personalization. 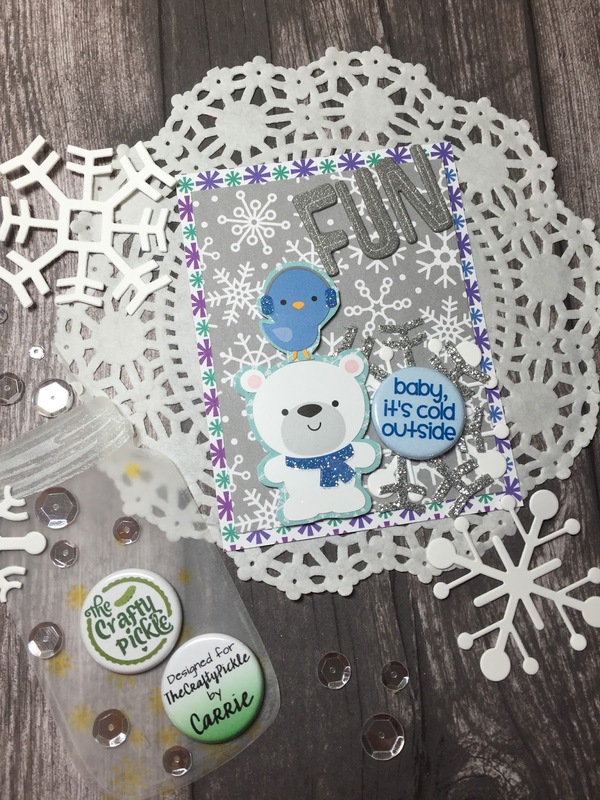 My go to flair is always from TheCraftyPickle. 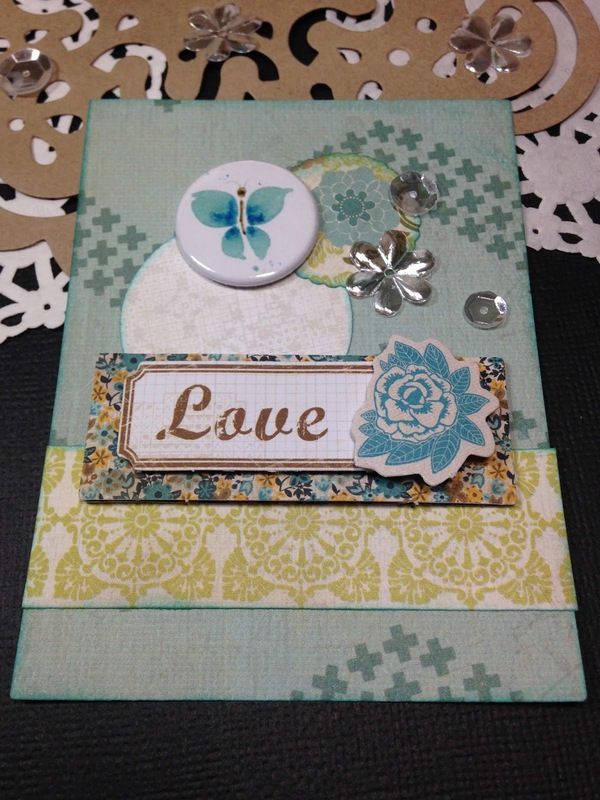 This card has a beautiful 3D layered sticker and a Watercolor butterfly flair. 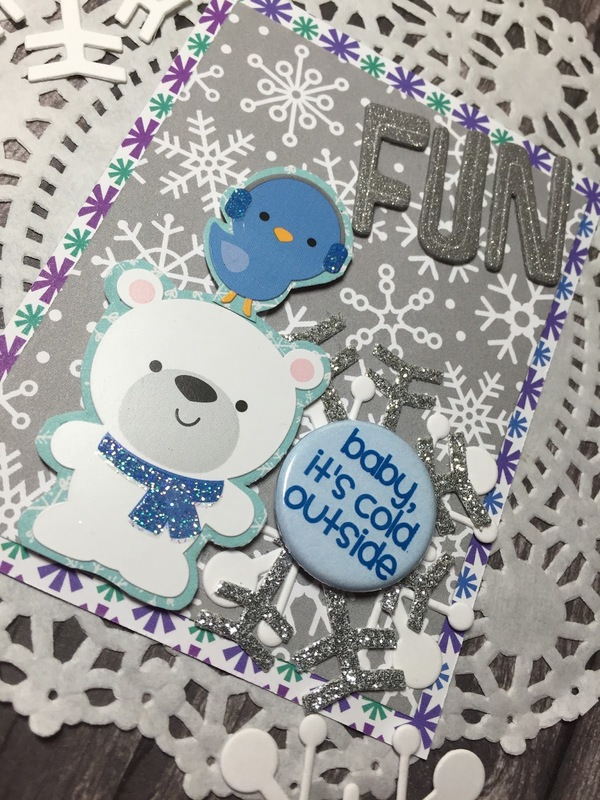 Using the layered stickers and flair buttons just add that special touch to make this card pop with interest. I created a total of 4 cards for this set. 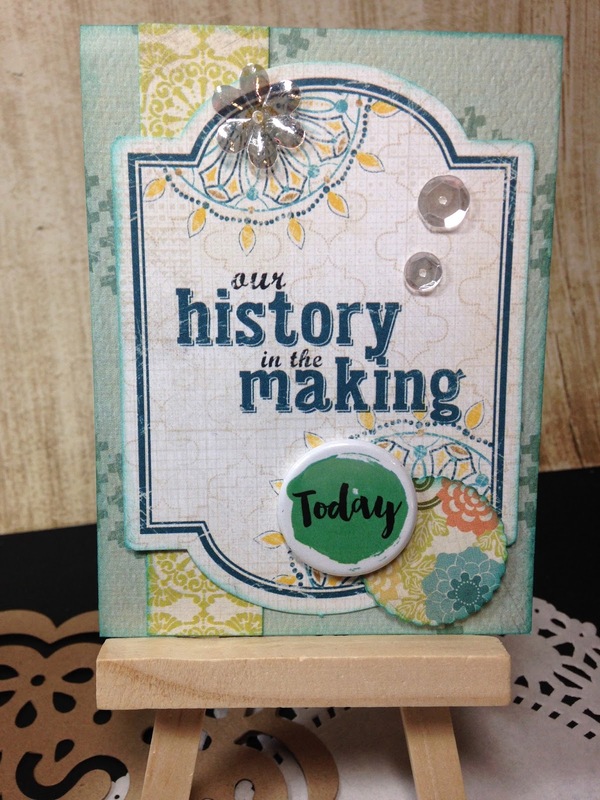 I really like to have a few handmade embellished cards on hand to keep in my stash so I can just grab them when needed to fill in a layout. 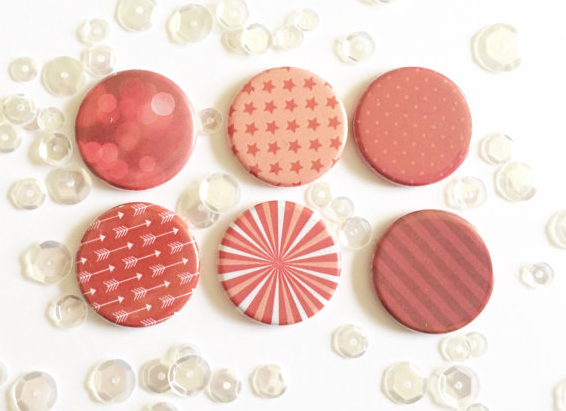 I also added some pretty sequins from the Spring Fling mix available in TheCraftyPickle shop. 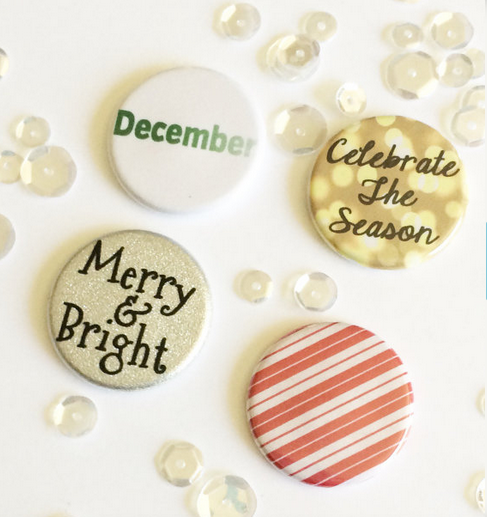 They are my favorite embellishment when I want to add a little bling. 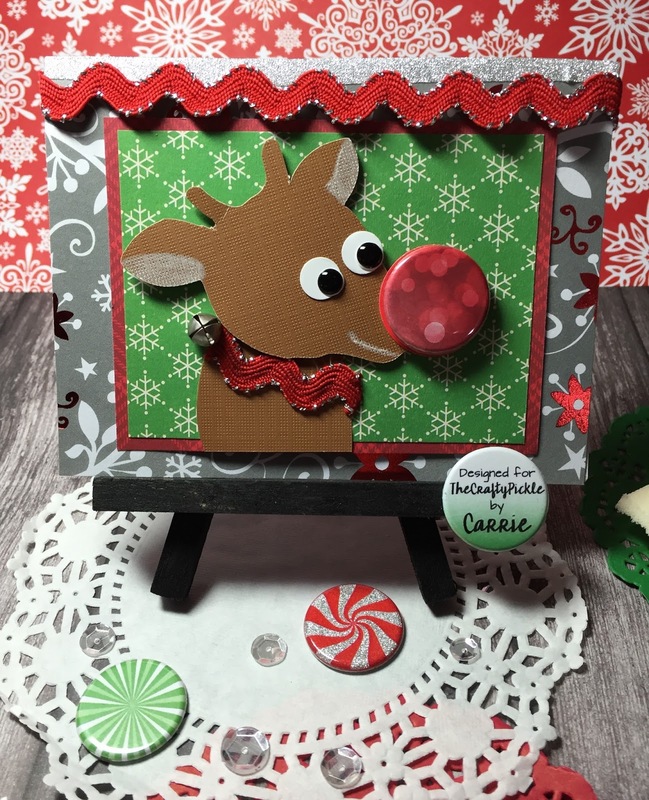 I hope this post inspires you to create a few handmade card to keep in your crafty stash.